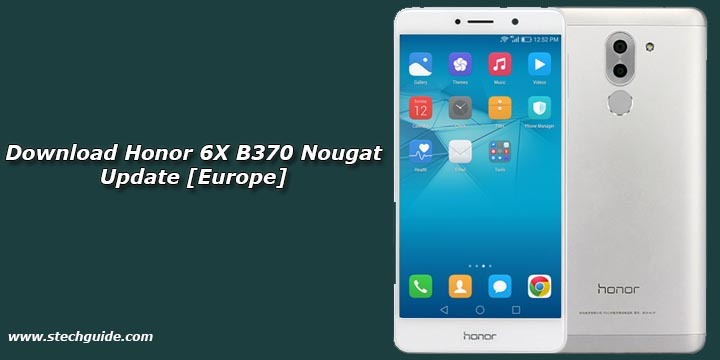 Now you can Download and Install B370 Nougat Update for Europen Honor 6x. Earlier we post B369 Nougat update for European Honor 6x and today we provide you the Official Honor 6X B370 Nougat Update for European BLN-L21 variants. This update improves system security with Google security patches. If you want to flash B370 update on Honor 6X, then you are in the right place. Here we provide you the Official Honor 6X B370 Nougat Update files. Honor 6X features a 5.5 inches display with a resolution of 1080 x 1920 and a pixel density of 403ppi. The phone powered by Octa core Hisilicon Kirin 655 processor with 3/4GB of RAM and 32/64GB internal storage. You can Download Honor 6X B369 Nougat Firmware from below which has a build number BLN-L21C432B370. 1) First, you need to unlock the bootloader of Honor 6x and download and install a custom recovery. If you already had an unlocked bootloader and custom recovery installed on your device then skip this step. 2) Download Honor 6x B370 Nougat ROM from above and save it on your device. 6) Now flash the update_full_BLN-L21_hw_eu.zip and update_data_full_public.zip files.